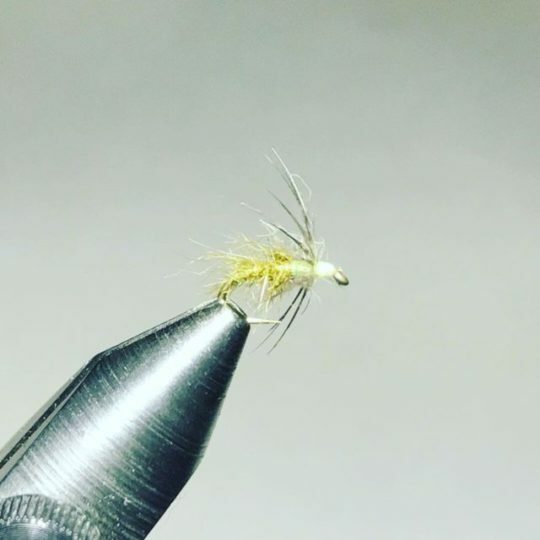 Dave Hughes ties some very buggy-looking flies. I recently read his Wet Flies book and think it ranks up there as one of the best fly tying books I’ve read. Some of his flies incorporate pine squirrel fur, which is very lush and spiky at the same time. He uses the fur for the tail, body and/or collar and, sometimes, for all three. He recommends using pine squirrel strips, and I’ve picked up a few colors. I love the material already. 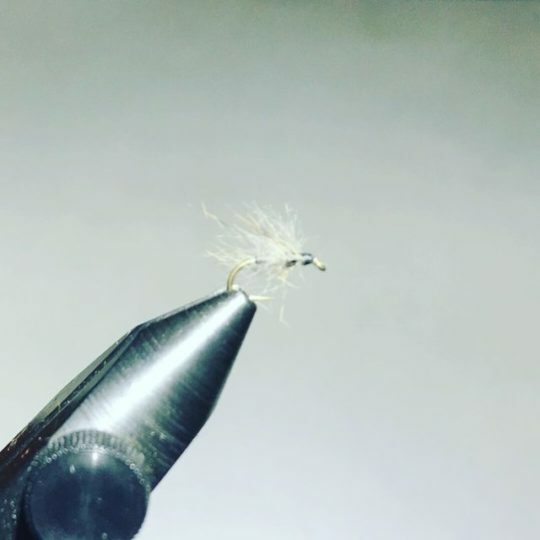 I’ve had good luck in the past with fur collars on my nymphs. It was a random discovery, honestly. I did the touch dub method on some nymphs and found that the looser the thorax, the more hits I got. I think the method works because it makes a fly look very buggy and helps trap air bubbles. Dave’s technique (video here) is far more sophisticated than mine, and so, I’m really looking forward to fishing his flies. 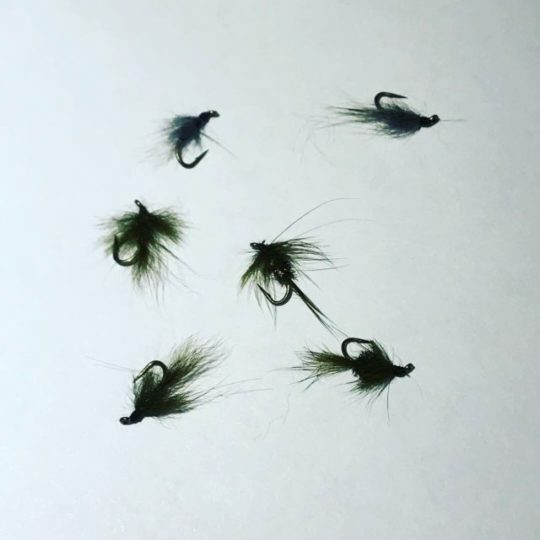 Here are a few that I’ve made, all in size 16, which I have found to be an ideal size when I try a new fly. 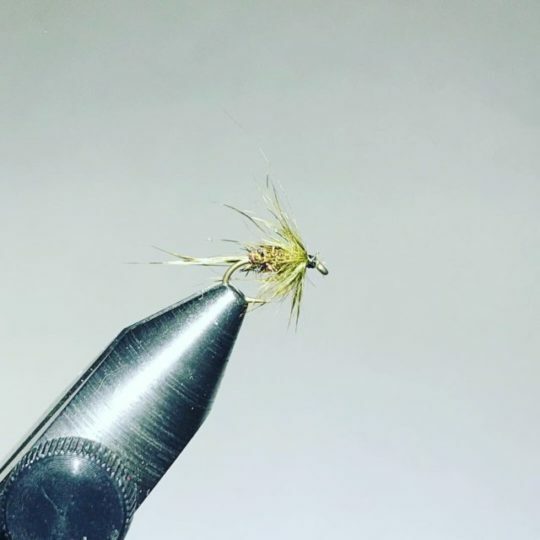 Has anyone else made and fished his flies? 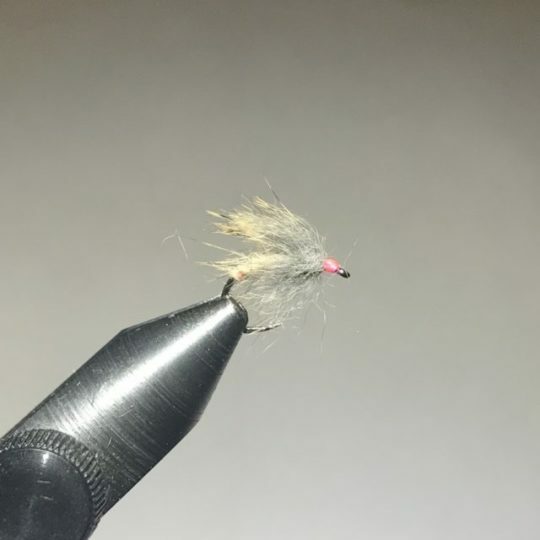 Honestly never thought that I needed this fly pattern so I have never tied them. 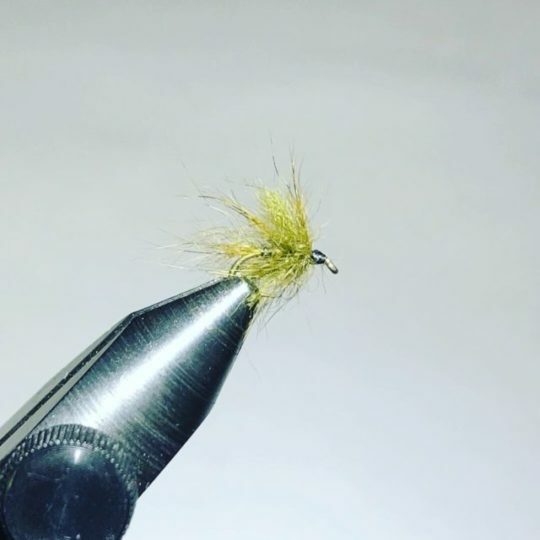 Do like his writing and be sure to pick up his newest version of Wet Flies as he does incorporate a lot of new tying material in that book as well as more detailed chapters. I do follow his advice for soft hackle selection and presentation. I’ll give them a go this spring and will see how they do.